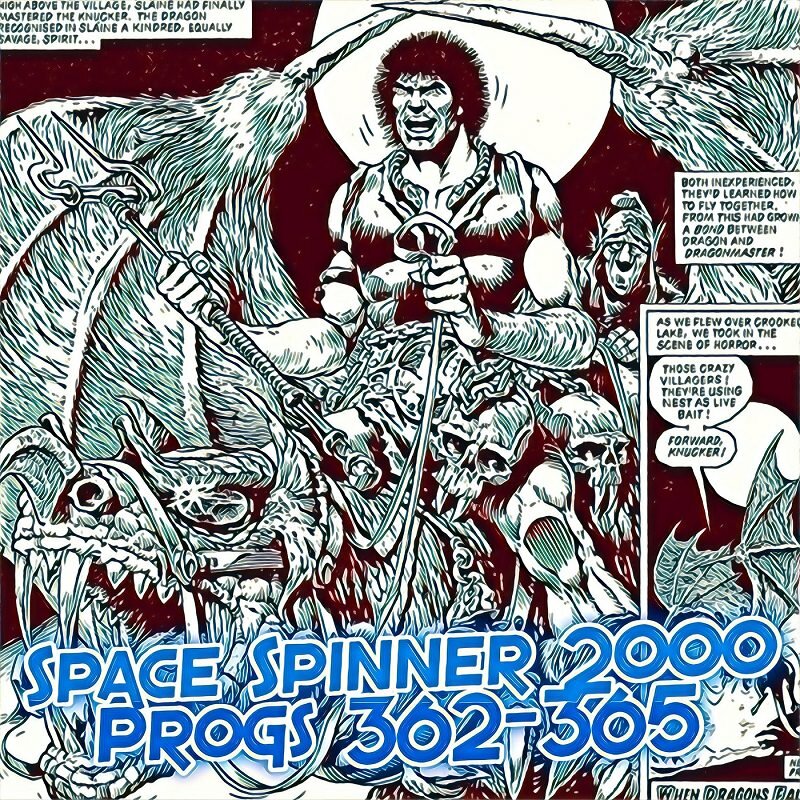 In our thrilling hundred and tenth episode Fox and Conrad continue their journey through the Galaxy’s Greatest Comic with Progs 354-357 of 2000AD, covering February of 1984. This week Sláine takes to the skies, DR and Quinch get drafted, the Killing continues, and we’ll get to meet CITIZEN SNORK! Also several songs are sung. Usually I run a filter over the comic page, but this one is just too awesome! A great months prog this week - I ended up having to read on and am now a bit ahead of the podcast. There are some great times ahead for the next 2 or 3 shows at least. This is the first time I have read those early Slaine strips properly and they are indeed great. As an 10 year old I struggled with the art being less clean than I was used to and I didn't really get into Slaine until the later Time Killer stuff. The Osmonds were really a 70's pop act and so would have been unknown to many readers (including myself) when the Osmongs appeared in The Killing. I know who they are now and the likeness is pretty funny. Also, veganism was definately well known in the 1980's. I thought it may have first been popularised in the 1960's but according to Wikipedia the term has been around since 1944. Well again we could get distracted by what a great podcast it was again but there are two far more significent things we need to mention. 1) How the hoopin' heck have we got to Frankie already. Pottering down the road listening to the show I was at first delighted when I heard 'Relax', but then more than a little shocked that you'd made such progress that we'd got to this*! *Of course if you were being a little more on the ball you'd have played Radio Gaga instead having banned 'Relax' just as the BBC did! I'm old enough to remember Frankie in the charts, but not the Osmonds. Any reference to the seventies group would have gone completely over my head in 1983. It's definitely amazing how much music has changed just in the time we've covered the show! I remember the early days when it was all disco and reggae, now it's all this new wave and synthesizer stuff, it's crazy. What a difference eight years make I guess? Also for the record we are still very much in a pre-Fox era, and will be for another year or two of progs. That's a fascinating read .. and I would urge all Spacespinner fans to purchase as many back issues of Dogbreath as they can to read Leigh's excellent ongoing annotations/review of Strontium Dog from the start, including important additions to 'strontinuity' (I love that word ) and a regularly updated Cucumber Count. 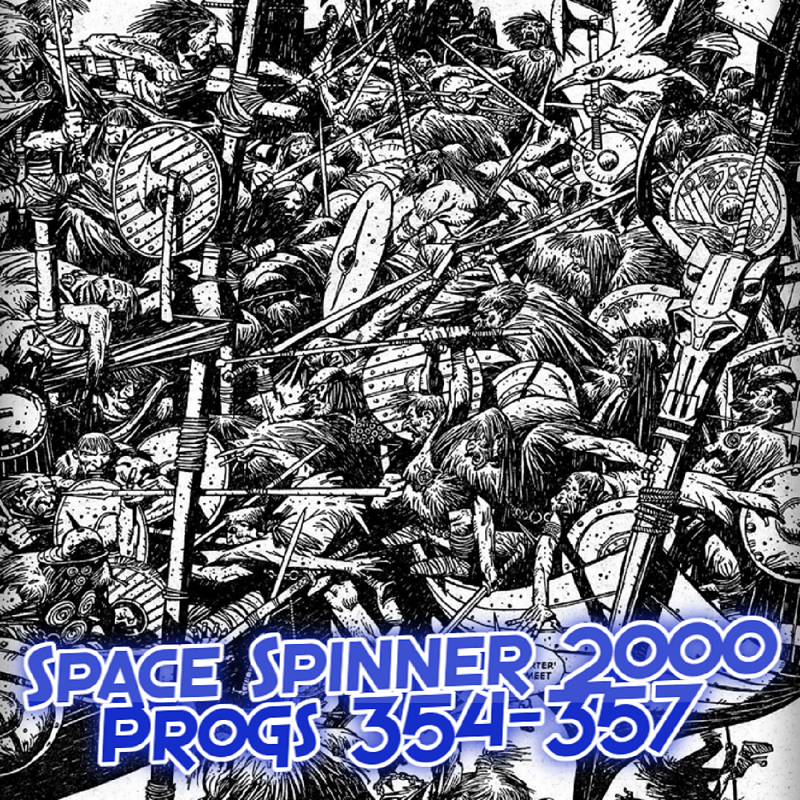 In our thrilling hundred and eleventh (ELEVENTY-FIRST) episode Fox and Conrad continue their journey through the Galaxy’s Greatest Comic with Progs 358-361 of 2000AD, covering March of 1984. This week Johnny Alpha finishes Killing, dragons strike in Sláine, Sector House 9 is haunted, and Future Shocks return with a vengeance! 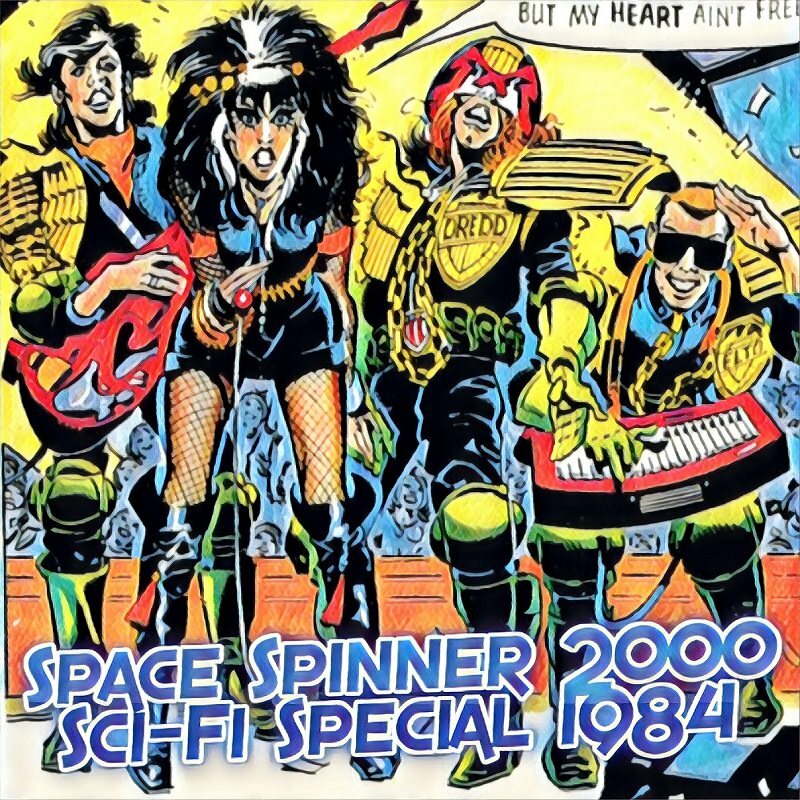 In our thrilling hundred and twelfth episode we continue our journey through the Galaxy’s Greatest Comic with the 1984 Sci-Fi Special of 2000AD. This Special has some great stories featuring Judge Dredd and Rogue Trooper, as well as classic thrills from Flesh and Invasion! This episode Conrad is joined by Stephen Reid of the Everything Comes Back to 2000AD podcast! Every week ECBT covers all kinds of things, including movies, comics, and pop culture, as well as the new progs and megazines because everything comes back to 2000AD! 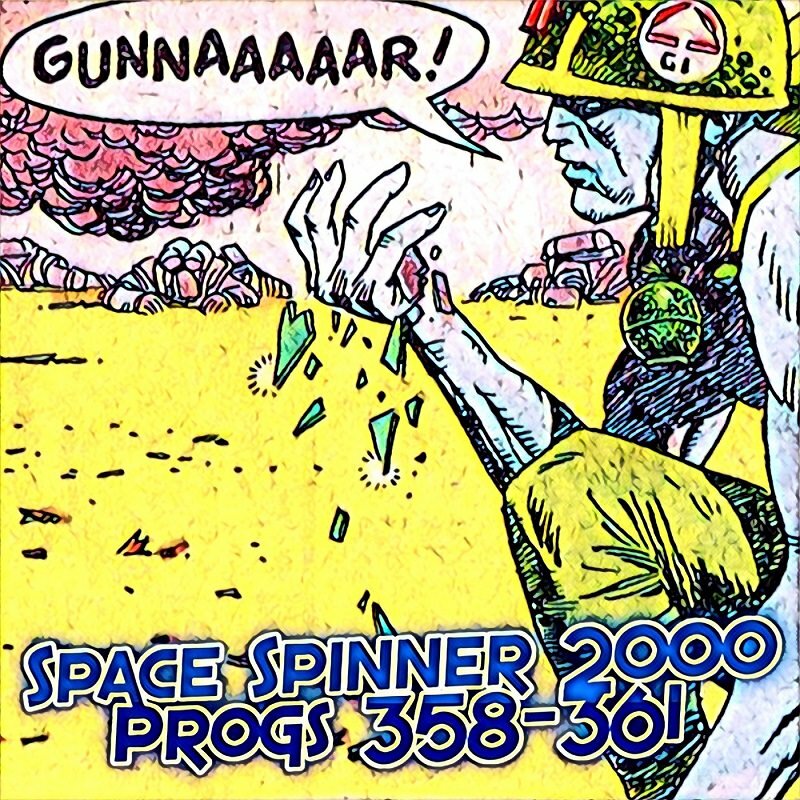 In our thrilling hundred and thirteenth episode Fox and Conrad continue their journey through the Galaxy’s Greatest Comic with Progs 362-365 of 2000AD, covering March and April of 1984. This week Johnny Alpha gets outlawed, Slaine heists a dragon, Dredd checks out high society, and DR and Quinch go to Hollywood! So many words you just said completely mystify me. Once I'm done with an upcoming summer holiday I need to make my way to England again so I can pretend I know British things. We're having a ragged summer in Germany but I hear it's even worse there (humidity AND +30 degrees!?) , so waiting for the season to change. Had a bit of respite the past week but the last couple of days it's back with a vengeance, like an unwanted text story. This is my first year in Germany and it's treating me like I'm in Cyprus.